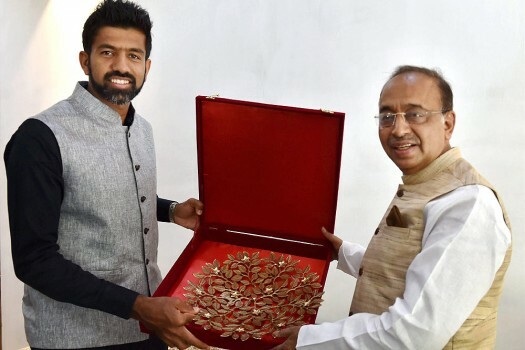 Minister of State for Sports and Youth Affairs (I/C) Vijay Goel presents a memento to Indian tennis player Rohan Bopanna at his residence, in New Delhi. 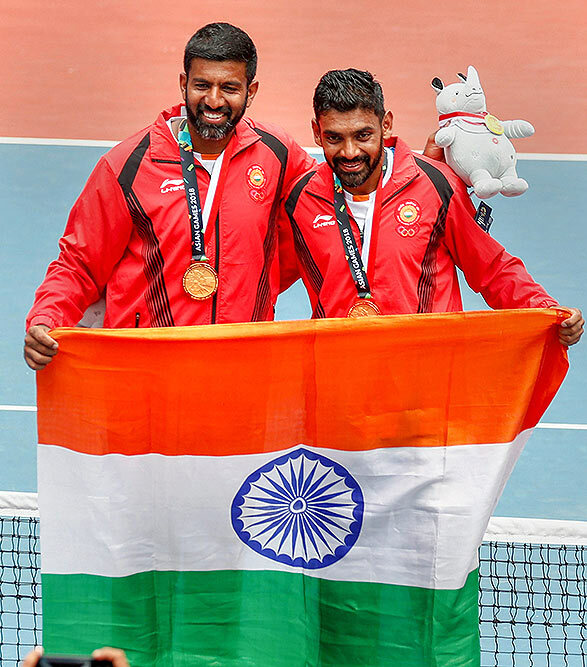 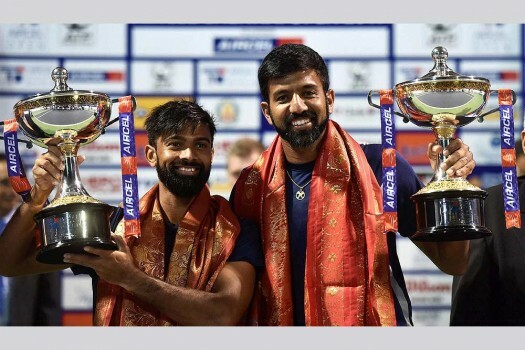 India's Rohan Bopanna and Jeevan Nedunchezhiyan hold their trophies after defeating India's Purav Raja and Divij Sharan in the doubles final of ATP Chennai Open 2017, in Chennai. 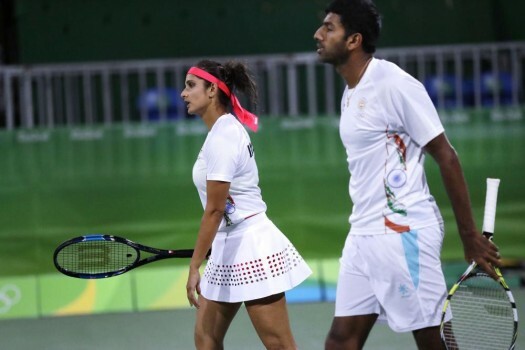 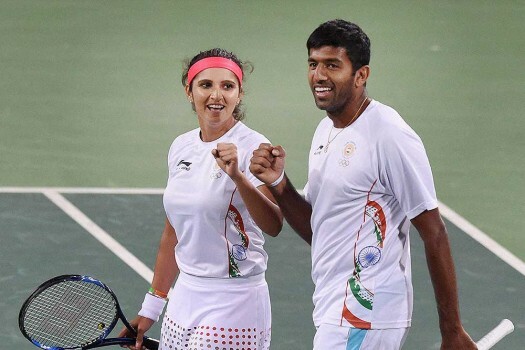 Sania Mirza and Rohan Bopanna of Micromax Indian Aces in action during the International Premier Tennis League (IPTL) match at the IG Stadium in New Delh. 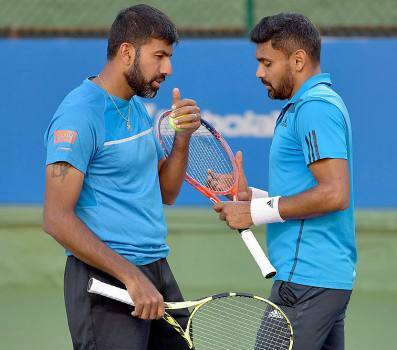 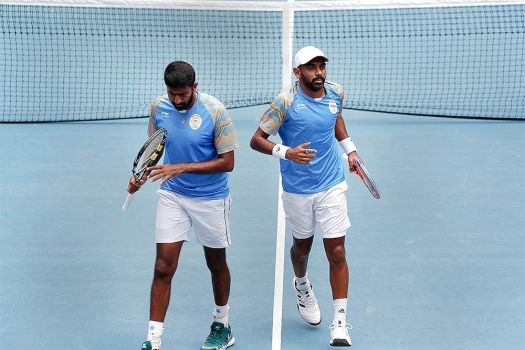 Indian tennis players Leander Paes and Rohan Bopanna at a practice session during Davis Cup at KSLTA stadium in Bengaluru. 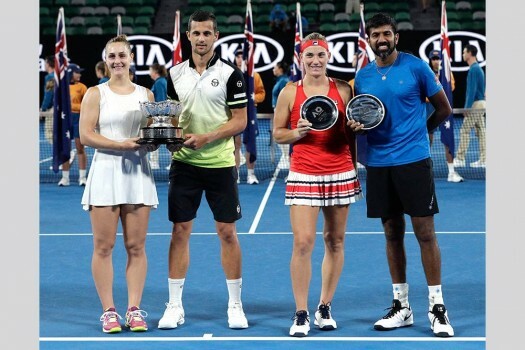 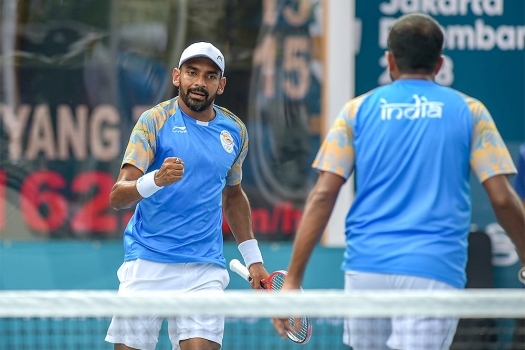 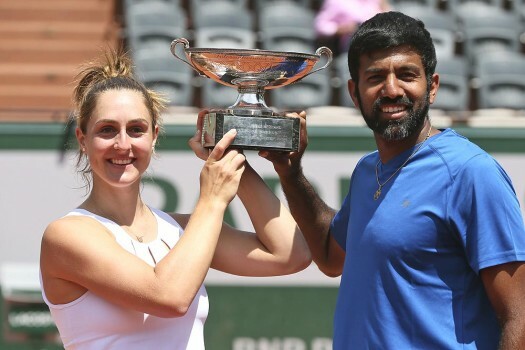 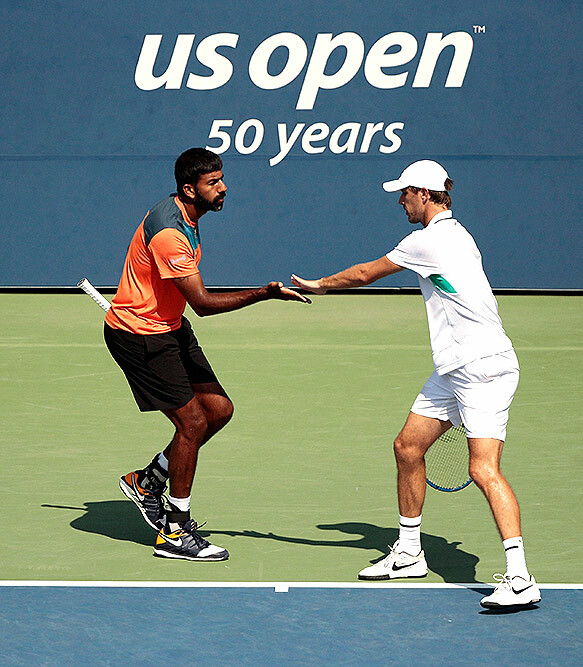 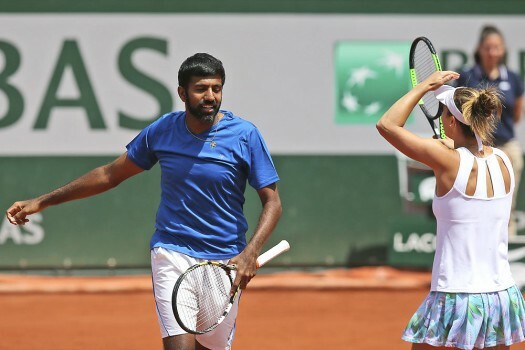 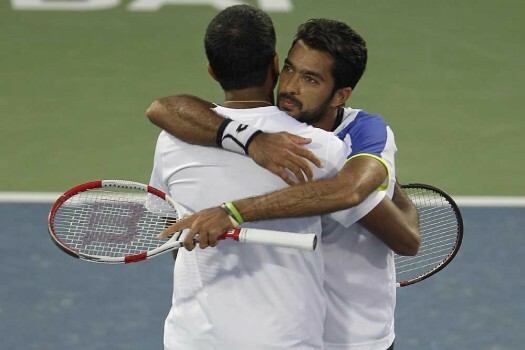 After losing the first set 4-6, the Indian pair won the next two 6-3, 6-4 in one hours and 43 minutes. 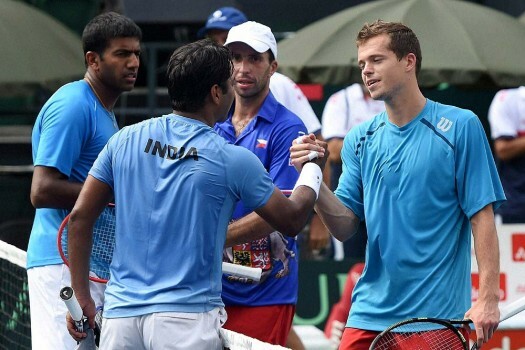 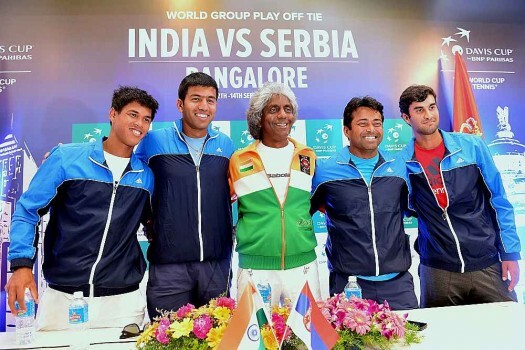 India lost 0-4 to Serbia in their World Group play-off clash in Kraljevo and the upcoming tie will be a litmus test for non-playing captain Bhupathi. 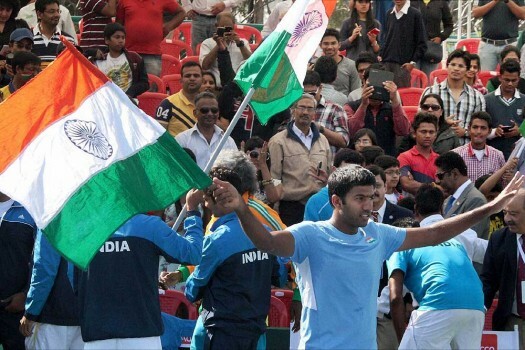 India is now standing at the ninth position with a total medal tally of 22 gold, 4 silver and 12 bronze. 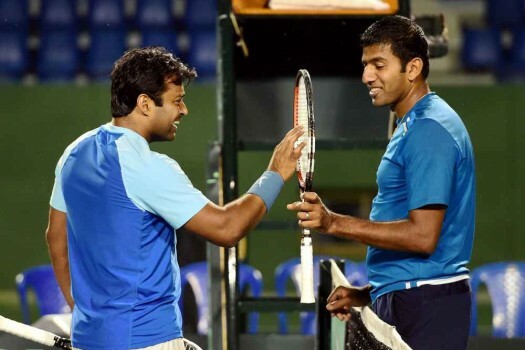 Synonymous with Indian tennis for nearly two decades, have Paes-Bhupathi come to an intractable fault?